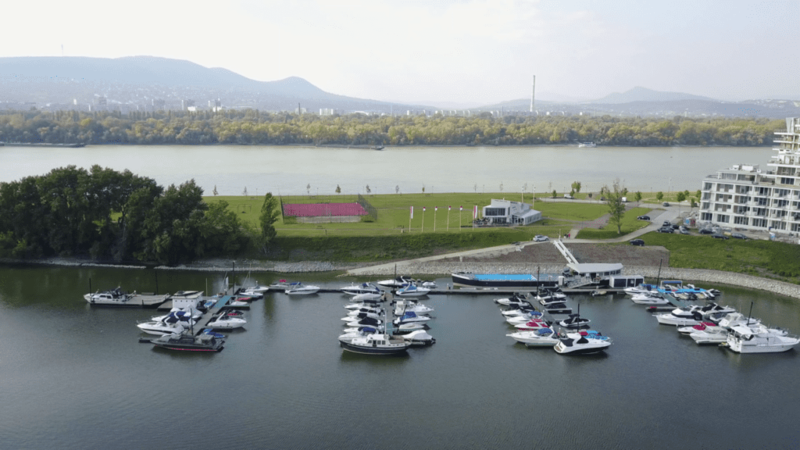 Marina Bay Residence 2 is located directly on the shore of the Danube, at a river bay, in the premium neighbourhood of Budapest’s district 13, with no drive-through traffic. Though the plot of several hectares is centrally located, it is surrounded by riverside walkways and parks that offer daily recreation. The area features a yacht club of friendly atmosphere and good cuisine, playgrounds, sport facilities, a quiet, green environment, good air quality, and a unique vista. Thanks to the outstanding infrastructure, the following amenities are all at walking distance: school, kindergarten, pharmacy and medical services, shopping mall, restaurants, fitness centre, lifestyle and beauty services. As the main road Váci út is just a few streets away, all areas of downtown Budapest are within easy reach. And the M0 ring around the city ensures fast access to the agglomeration, as well as other parts of Hungary, without getting tangled up in traffic jams in the city. Public transport lines within a few minutes of walking distance from Marina Bay: bus lines 105, 115, 15 and 26; M3 underground; and the ship lines D11 and D12. © 2019 Autóker Holding Zrt.